Eric, our Visual Communications Manager, joined Manzella Marketing in February 2015 as Senior Interactive Designer & Developer. After years of touring the country and overseas with his beat up guitar and what he considers to be a golden voice, Eric found his best gig yet, as a father and fantastically thoughtful husband. 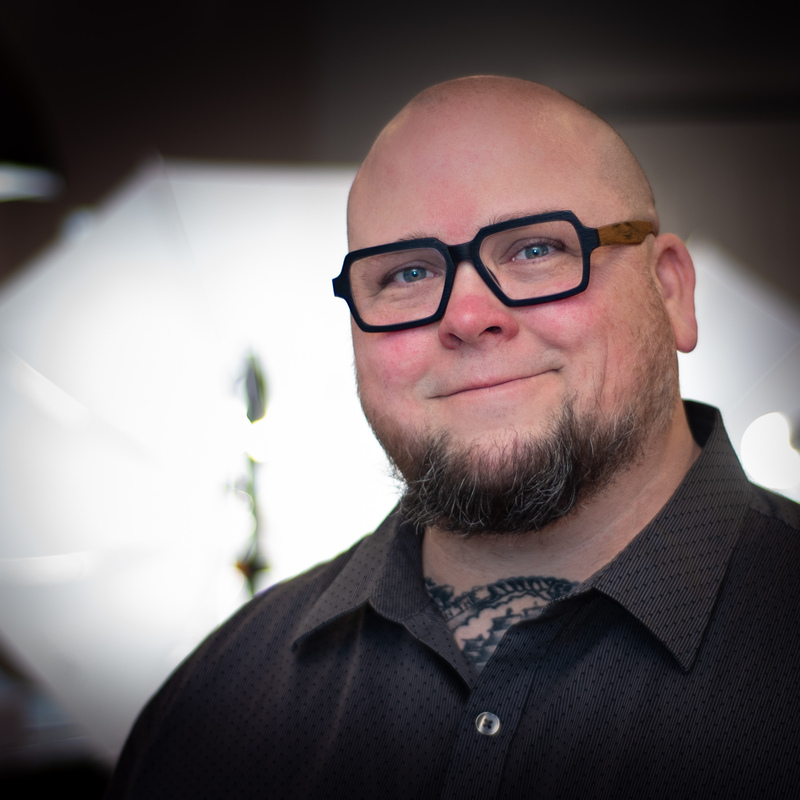 Highly caffeinated, he has enjoyed the better part of 20 years working with clients such as Fisher-Price/Mattel and Nickelodeon, as well as a multitude of corporate and small business enterprises, taking on a wide variety of visual and audio design needs. Eric's experience and creativity with digital and print design, drone/video/audio production and editing, photography and voiceover work is matched, only by his rugged handsomeness. Eric and his wife, Kelly, own an award-winning photography business: Patronus Photographic, working together as destination photographers. If you have a need for arial/drone photography or video, Eric is also an FAA certified and licensed, unmanned aircraft pilot. A true Ad Man, we dare you to try and stump his creative concepting ability…we triple dog dare you!